It's nearly SEPTEMBER already, which means that if you haven't yet started your holiday projects, you had better get started! Every year I wait til the last moment, and I end up with a panic by Thanksgiving as I realize that I have not even BEGUN my holiday knitting. This year it will be an even bigger task, since I've also got about a hundred babies to knit for (EVERYONE I know is having babies!). It's also approaching FALL, which is exciting because that means SWEATERS! Many of the Fall issues of our favourite magazines are here already, and others are showing up any minute now. We've also begun ordering delicious Fall yarns, which will be trickling in over the coming weeks. 1. Vote for us! - Voting ends Sept 3rd, make us #1 on the 10news A-List! 2. New Stuff! - omg some amazing new things in stock! 6. Ornaments - Start knitting and crocheting ornaments for the Clever Knits tree! 1. Vote for Clever Knits - Voting ends Sept 3rd! The 10-news A-List closes voting on September 3rd! 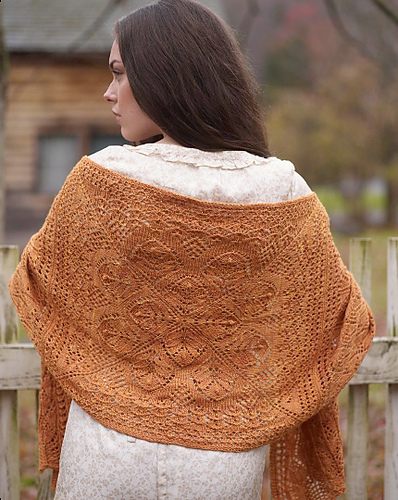 Please take a moment and vote your favourite LYS into the #1 Craft Store position! Last year we were the top-ranked yarn store and ranked #3 overall in the 'Arts & Crafts' category. This year, I would love to be the NUMBER ONE craft store in San Diego County! Please encourage your friends, family, and coworkers to vote, too. It only takes a moment and means a lot to us. A few repeats, a few postponements and reschedules, and a few brand newbies. I think you'll like the selection of classes we have in the coming months! You can always find our full list of current class offerings on our website - just click the 'classes' link at the top of the homepage. Thursday afternoons the Expert is in - and available for tech support. Drop by with your current conundrum and one of the in-house experts will assist you. Knit AND crochet help available from 12-2pm EVERY Thursday. $5 cash or check written out to the particular expert assisting you. The pattern is available FREE online here, or you can snag a copy of The Knitter's Book of Wool, one of my VERY FAVOURITE books which is loaded with amazing information about how wool is made, different breeds of sheep, and all the processes that go into producing your favourite wooly yarns. It also has a handful of really amazing patterns. A great big cozy stole, in anticipation of FALL. I will NOT be putting beads on mine (beads scare me!) but we are lucky to have a GREAT local bead and craft store right around the corner, if beads are something that tickle YOUR fancy. As a reminder, our CAKAL groups meet Sundays from 1-4pm, though of course you're welcome to bring your project in on Tuesdays or Fridays (or any time at all - we love having company!). 6. Ornaments! Kick-start your holiday knitting with something miniatureFor our tree this holiday season, we'll be featuring hand-knit and crochet ornaments! The theme this year will be tiny garments - so get to work miniaturizing sweaters, hats, stockings, socks, shoes, pants, mittens, lingerie - whatever it is, so long as it's a teeny tiny version of something to wear. Each ornament contributed before December 12th will be eligible to win a prize - a $20 gift certificate to Clever Knits! Winner will be selected by popular vote (ornaments will be anonymized when submitted), so make yours the very best. Voting will be held December 14-20, and the winner will be announced at Knitnight on December 21st.